Yesterday was great fun, and it was good to finally meet some online friends as well as the guests at the event. 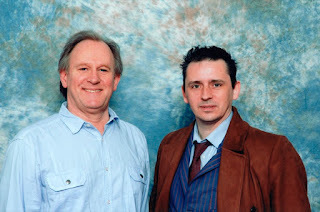 This morning kicks off with two of the Doctors: Sylvester McCoy doing his stage talk; and Peter Davison doing his photocall. Since the photocalls are relatively quick – plus having a Gold Ticket, it means I get to queue-jump in front of any Silver or Standard ticket holders, I opt for this first. Peter is a charming guy, and very pleasant to meet (see right). I then quickly nip into the stage talk, to discover a bit of a shock. It’s not quite the stage talk I was expecting. 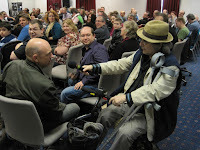 To my surprise Sylvester is in a mobility scooter as he has a hip injury (see left), and rather than being ON the stage he is driving his scooter up and down the aisles taking questions from the audience. It soon developed in controlled chaos as Sylvester returned to the front down the side aisle, running over everyones toes as he went! He was a weapon! 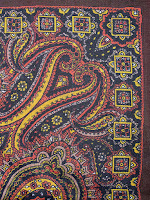 Story-wise he was enormously entertaining, recalling Dimensions In Time as Don’t Mention In Time, as he hated it! Except for working with Louise Jameison – he couldn’t work out why, while putting on a lecherous expression . . . 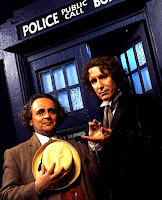 He also remembered his time working on the Movie with Paul McGann, telling us that they are the same height, but they put Paul on a box to make his taller for the iconic photocall (see left). He also told of how he liked the costume they gave him – without the question-mark pullover which he thought was ‘obvious’. Ironic really since he revealed the question-mark umbrella had been his idea! The similarities between his current predicament and Davros were not missed on him either. He was a good sport! Working Sylvester hard, he was then straight into the photocall (see right). 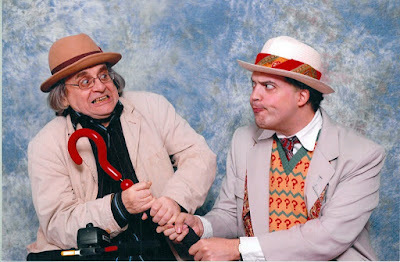 But I must say that Bob had enormous fun at the photocalls, and his picture with Sylvester is way better than mine! (see below). By the way, Bob’s hat is sporting a screen-used red hanky . . . 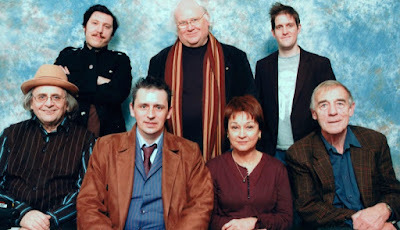 Yet again, the photocall with The Doctor (Sylvester) clashed with another Doctor on stage, this time Colin Baker (see left). His style is much dryer than the rest, and although entertaining is more grounded and factual. 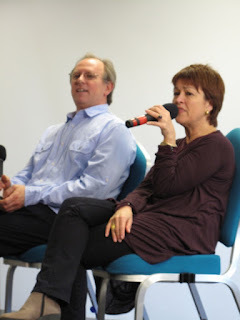 After a bit of a break it was time for Janet Fielding to take to the stage again, this time with Peter Davison as her foil. I say it this way round, since she was such good value for money. She clearly knew her stuff and everything that happened during her time on the show, but she shows it little reverence or respect! And she shows Peter even less so! 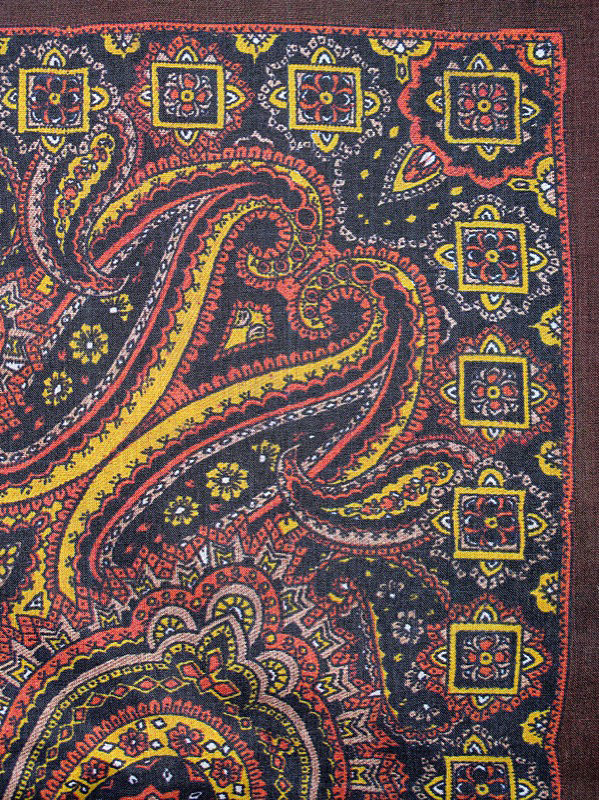 A highlight of the talk was when an audience member brought up the subject of Matthew Waterhouse and his up-coming memoirs, which met with derision on stage. The pair of them had stories to tell of Matthew and his in-experience of acting, and how he gave acting lessons to Richard Todd (an actor of some 50-years at the time) during Kinda. They also recalled how Matthew saw himself as the ‘senior’ member of the cast! The was a reason: since he had joined the show before any of his co-stars. Janet was constantly ribbing Peter – mainly because he was a man! Her constant inferred insults by suggesting other guest stars were really great actors was not missed on Peter! 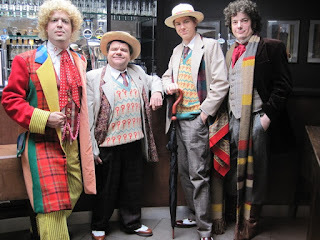 We then all queued up for the Colin Baker photocall. It was during this that the stand-out moment of the weekend occurred. Bob was in full Six costume, and a couple of other cosplayers in Doctor costumes were closeby in the queue. A passing attendee spotted the perfect photo and asked for them to pose (see left). 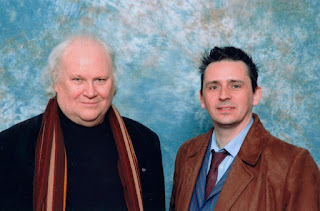 At that very moment Colin Baker passed by en route to the photocall, and spotted the camera and set-up. He cheesily beamed a wide smile and Bob grabbed him to be in the photo. 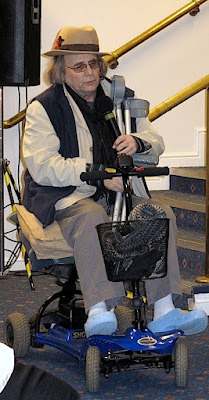 What no-one noticed was that Sylvester, still in his mobility scooter, was in the background using the stair-lift and was peeking over the edge at them. He then raised his hat and beamed an equally comical smile! I so want to see that picture! So, Colin eventually reached the photoshoot room and the queue started moving. When my moment came to step next to Colin, he recognised my costume and made a nice comment about it. The photocall continued with a chance for anyone who missed Janet Fielding the previous day. During all this Michael Jayston had started his stage talk, which was more of a traditional format with an interviewer asking questions and leading the conversation. Michael Jayston has had a long and distinguished career on tv, having done a lot of classical drama, as well as Doctor Who (playing the Valeyard in The Trial Of A Time Lord season). He is also very well known for doing voice-over work for commercials, and the interviewer had a special request for him to say “Gold, from St. Ivel”, the tag-line to a long running campaign (see left). Michael was very modest about his voice, but recognised that it had been an asset to him, recalling the long list of audio books he has recorded, including P. D. James and John le Carré. There then followed a nice long lunch break before the days group photocall (see below). All in all it has been a fantastic weekend: meeting new friends; putting faces to online friends; meeting so many Doctors; autographs; photocalls – and all in just a couple of days!